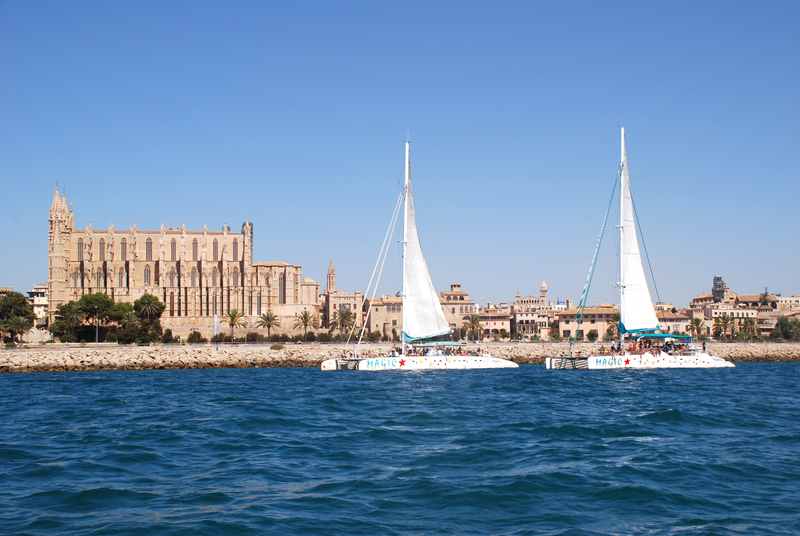 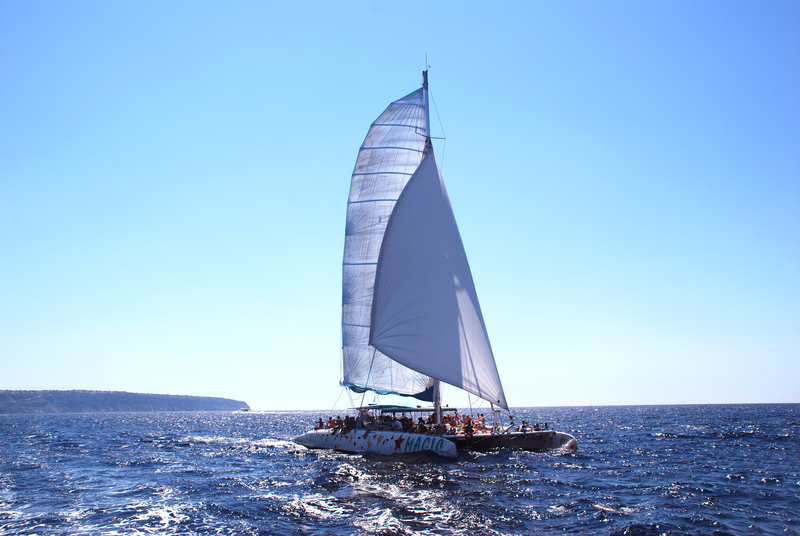 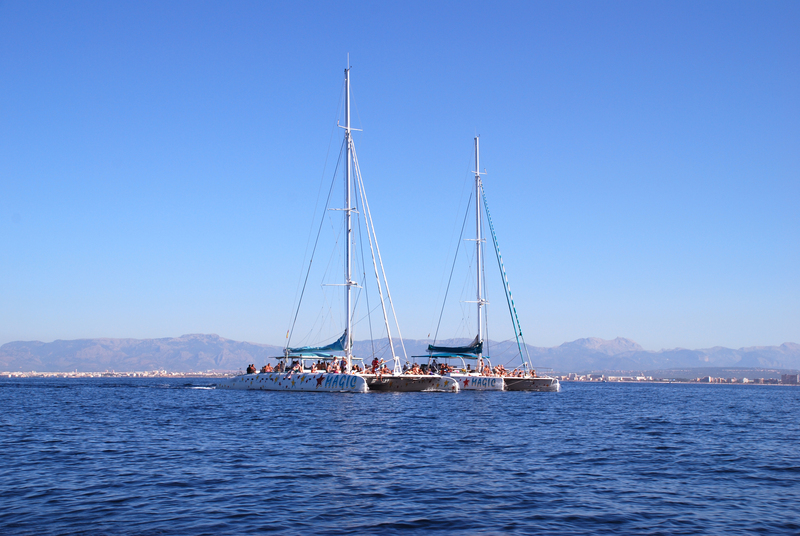 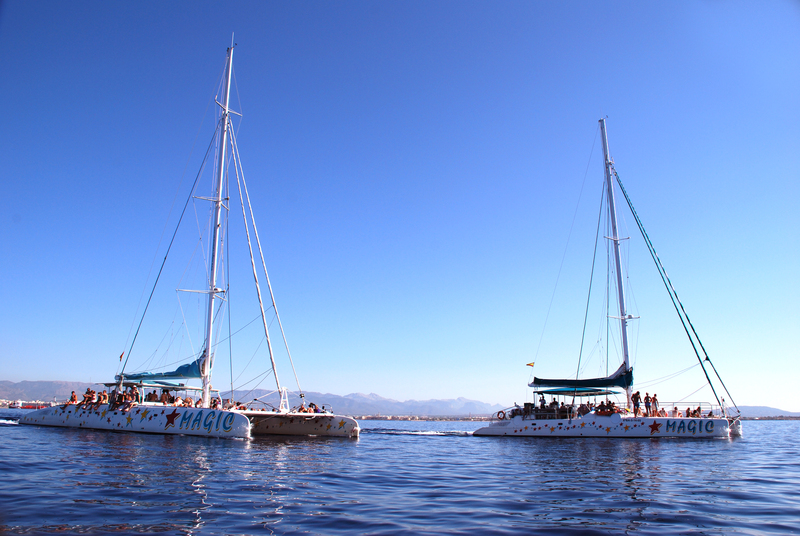 Catamaran trip around the bay of Palma de Mallorca. 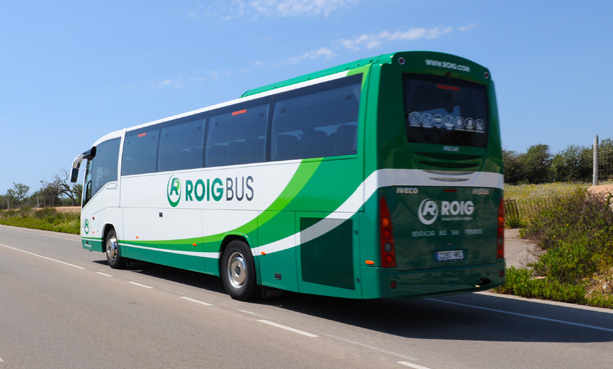 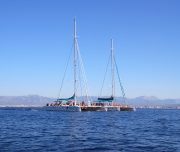 Season: from 1st of May until 16th of October. Children (0-6 years): Free – You need to indicate in comments when make the reservation. 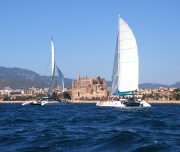 Departure from the port of Palma de Mallorca / promenade in front of the Auditorium, silently sailing in the Bay of Palma to Cala Vella or Portals Vells. 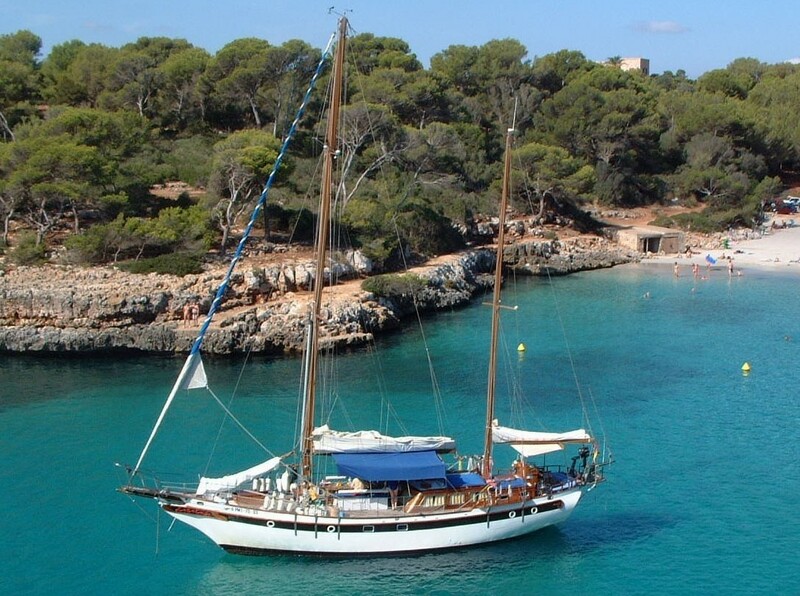 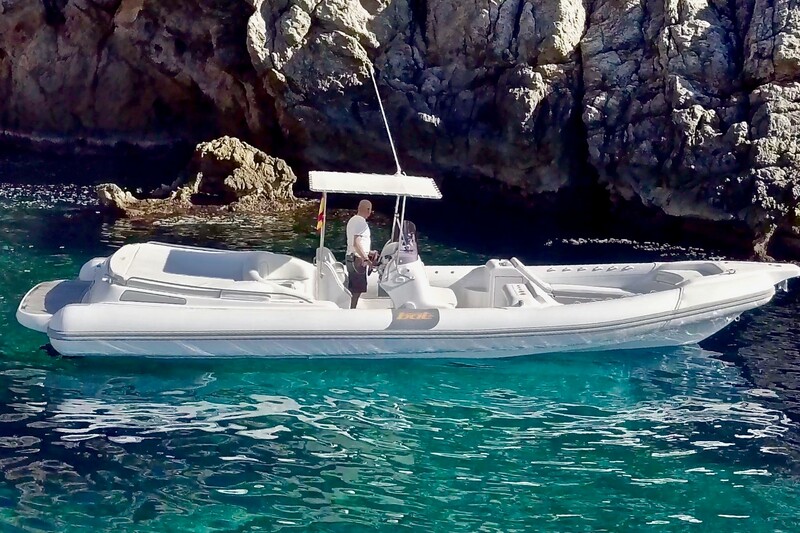 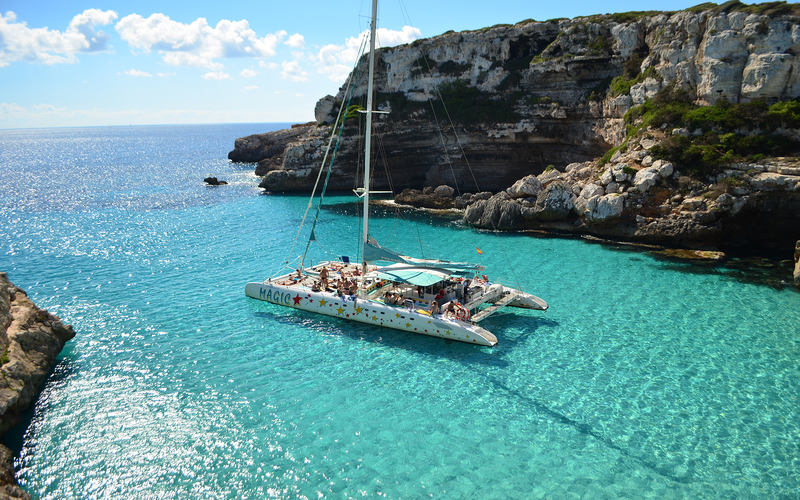 Stop with anchoring in one of the most beautiful places of the south coast of Majorca with crystal turquoise waters. 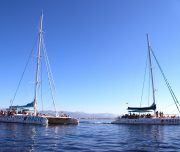 It’s time to swim, relax, sunbathe on our spacious bow nets and do snorkelling (masks and snorkels on board – free) against these idyllic beaches, where we serve a delicious meal, meat barbecue prepared on board, assorted fresh salads, and cake for dessert, mineral water and sangria free during the meal, time for another refreshing swim. 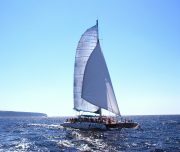 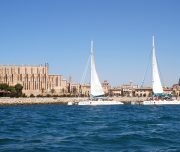 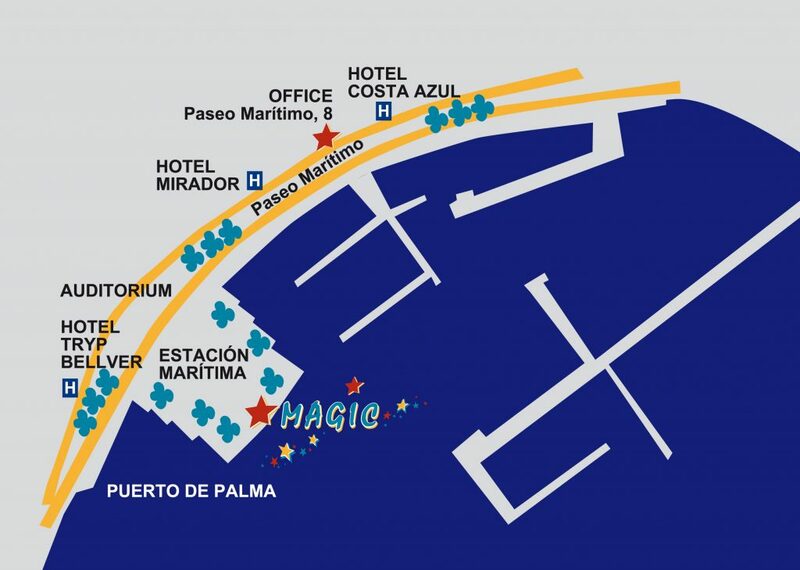 Then we raise anchor and sail silently back over the blue waters of the Bay of Palma and finally reach the port of Palma / promenade in front of the Auditorium. 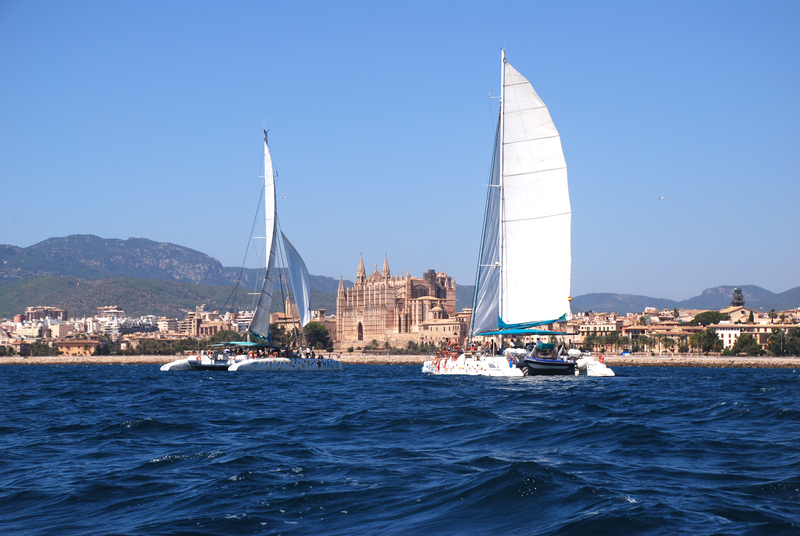 Boarding and disembarking at the Port of Palma / promenade in front of the Auditorium. 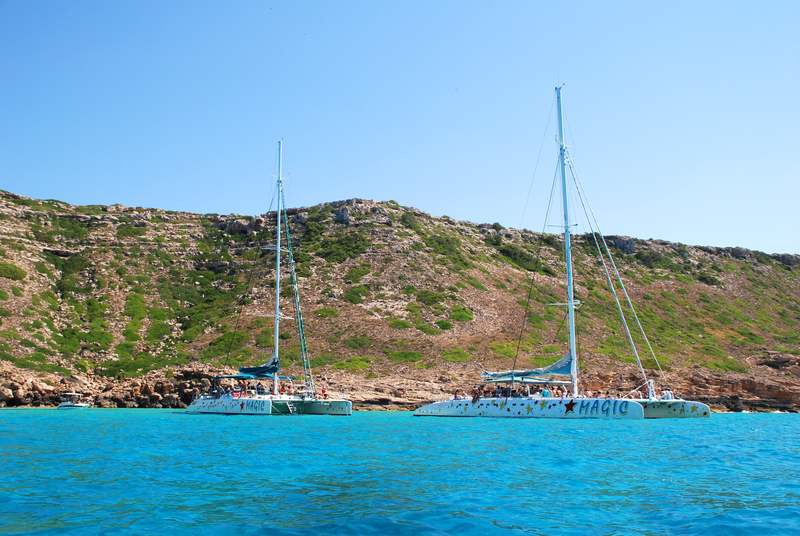 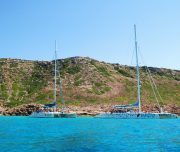 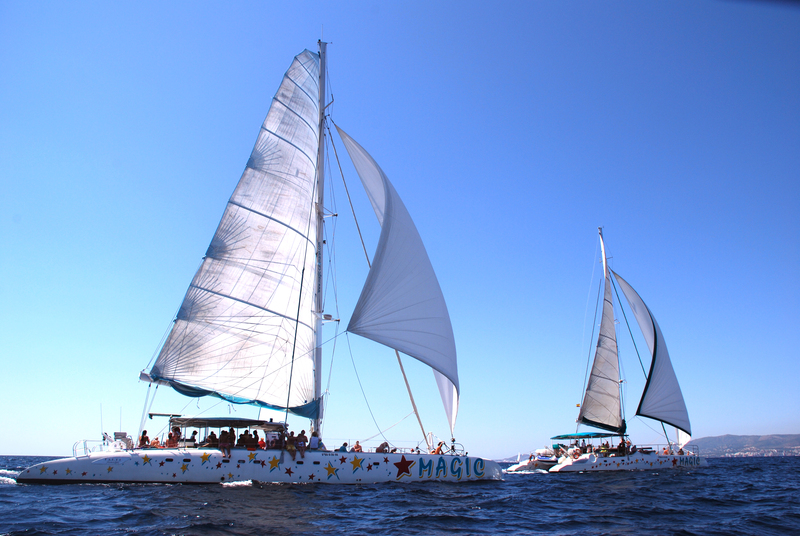 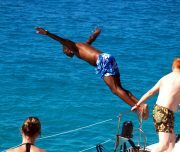 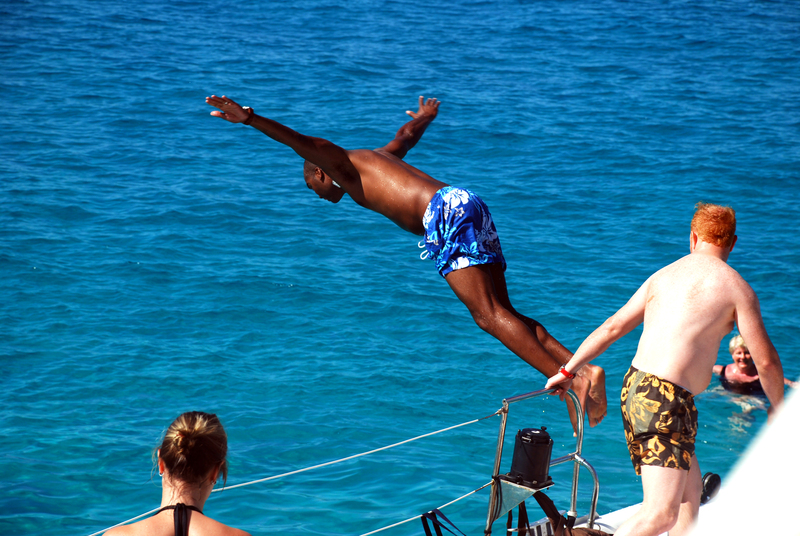 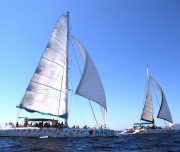 We can go to any part of the island and will organize tailor-made excursions.